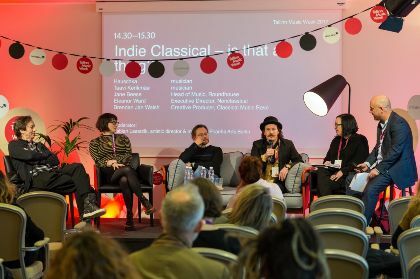 The Indie Classical movement is out there for a long time already, but from Gabriel Prokofiev's Nonclassical label or the US labels such as Judd Greenstein's New Amsterdam (just celebrating their 10th anniversary) to all those single composers and artists and projects out there, they were not networked appropriately. 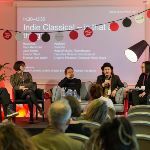 This changed when the Indie Classical Network has constituted itself at two editions of Classical:NEXT 2016 and 2017 (including the above-mentioned as members). Currently in beta, a new online network feature is to be introduced this year still to all network members as well as all Classical:NEXT delegates. It will be open for all people engaged in the scene and will help the members contact each other, keep up to date with the others' projects. Each member simply can share their profile at C:N NET (the Classical:NEXT delegate database and platform). New members who have not been to Classical:NEXT yet, can also be invited. It is for you, for us!, to fill this new network feature with life also online. We think that such a lively group of music aficionados, of classical ambassadors and froward-looking people - and such nice people on top of it - deserve and need an appropriate online representation. Updates to both features and design are already scheduled for next year.